Epic questions from an Empire State of Mind to Superman’s alter-ego. The Picture Round is Digital Davids and the Wild Card Question is a Krypton quest to calculate light years. Q05. Why might you visit a horologist? Q15. In 2009 which rapper teamed up with Alicia Keys for the hit single Empire State of Mind? Q24. What is the first event on day one of the women’s Heptathlon? Q33. In the Superman series of films what is the name of the newspaper where Superman’s alter-ego Clark Kent works? 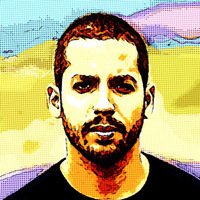 Here’s a low-res sample of the Digital Davids Picture Round, click for a higher resolution version. The Picture Round download is a two page high quality PDF with the answers on page 2. 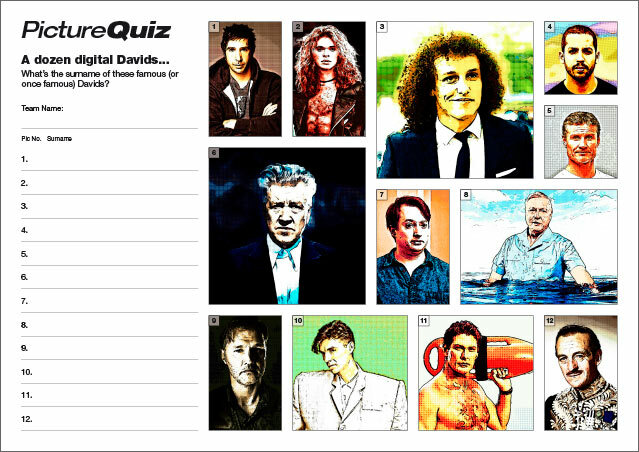 Quiz 066s Picture Round is a Dozen Digital Davids… what are their surnames?